Variety – and surprises galore! Here at Paradise Found Educational Farm Park we pride ourselves on the array of wonderful farm animals we’ve built up since we opened, including several babies born here! We’re sure as you walk around the farm you’ll be surprised and delighted to see some of our well looked after special ‘residents’. We started off with just a pony, a goat and some rabbits! To see how that has grown, and continues to do so, is one of the delights of both working and visiting here. We now have over 1000 animals spanning over 36 different species. 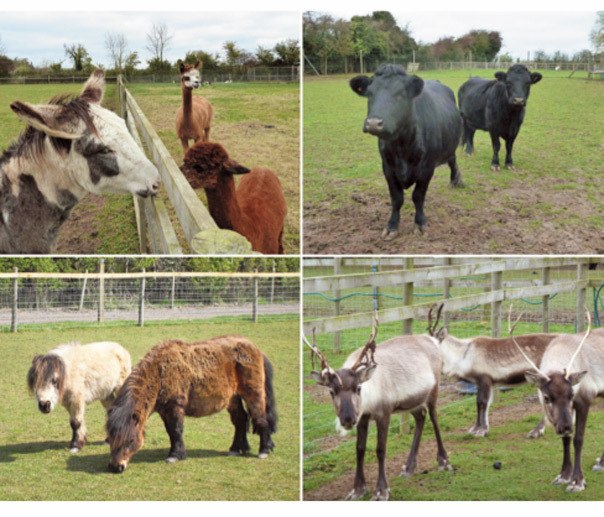 At Paradise Found Educational Farm Park you can see ALL the following: Dexter Cows, Kunekune Pigs, Ducks, Chickens, Thoroughbred Horses, Ponies, Reindeer, Peacocks, Bantis, Frazzles, Marlins, Barn Owl, Rheas, Guinea Fowl, Turkey, South Down Baby Doll Sheep, Bora Goats, Sinne Goats, Angora Goat, Shetland Pony, Miniature Shetlands, Alpacas, Continental Rabbits, Giant Flops, Guinea Pig, Kakariki Birds, Massarelli Pig, Giant Tortoise, Giant Cockroaches and the worlds smallest breed of sheep, The Ouessant Sheep. A number of ‘babies’ have been born here, including two reindeer in May 20014. 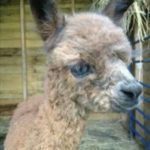 We also have imminent arrivals to look forward to from our Goats, Sheep, Alpacas, Piglets and Cows!